You might be asking yourself, what in the world is a LOOGY? Well, it is a creative acronym for Left-handed One Out GuY. For reference, Pedro Feliciano, Damaso Marte and Boone Logan all are classified as LOOGYs. In my latest poll, the majority of voters said LOOGYs are important, but not vital to a bullpen. Twenty-seven percent voted the LOOGY is overrated. Feliciano and Marte are both on the disabled list, and, sadly, will likely be out of baseball until next spring. The Orioles got off to a hot start, but after hitting the 6-1 mark, they’ve tailed off to 8-10. This weekend they play host to the Yankees for just two games because yesterday’s game got postponed. Since 2000, the Yankees are 131-67 against the O’s. Looks like I might be seeing the Riveras roaming Quinnipiac’s campus next year. My school newspaper, the Chronicle, exclusively reported today Mariano Rivera III will come to Quinnipiac next year. Mariano Rivera Jr., the son of New York Yankees famed closer Mariano Rivera, said in a phone interview Friday he will attend Quinnipiac University in the fall and will try out for the baseball team, attempting to walk on as a pitcher. The Yankees had Tuesday night’s game set up just the way they like it for the last two innings: a two-run lead with their setup man and closer freshly waiting to do their jobs. Rafael Soriano did his part, but a team finally got to Mariano Rivera. The Blue Jays tied the score in the ninth and won it in the 10th. The Yankees made their first trip over the north border in 2011 for a two-game series with the Blue Jays. The Red Sox just won their last three games against the Blue Jays, while the Yankees are coming off a series win against the Rangers. I came across something interesting last night on a Google Alert for my name. A Columbia University Graduate School of Journalism class produced a website called The Bronx Ink, and one of its writers featured lenNY’s Yankees in the “Digital Bronx” section of the website. Check it out if you want a little perspective on the Yankees blogosphere. Rangers-Yankees Series Preview: Bring on the heat! The Yankees begin a three-game set with the Rangers at Yankee Stadium tonight. Below, you’ll find an intimidating list of opposing pitchers’ records. Note: Hopefully now you have less doubts of me predicting the Rangers to represent the AL in the World Series again this year. Also, keep in mind Josh Hamilton just landed on the DL. The Rangers are weakened, but they are still a powerful squad without their star. Nick Swisher hit a sac fly in the bottom of the 10th to complete a come-from-behind victory over the Orioles. The Yankees trailed 5-0 after 4-1/2 innings and then stormed back for six unanswered runs. Tonight is a very important night for Phil Hughes, according to NY Post’s Joel Sherman. He proposed this morning that if Hughes pitches poorly again tonight, Bartolo Colon could take his spot in the rotation and Hughes could be moved back to the bullpen. Sherman’s gut tells him Hughes likely would go to the minors rather than the bullpen in order to work out his pitching problems without having to think about winning. Two months ago, I would have laughed at the idea. Now that Colon is on the team and pitching well, I actually have to consider it. With two more homers at Yankee Stadium in tonight’s 7-4 win over the Orioles, the Yankees lead the majors in home runs at home. Both teams share a lead for the AL East lead at 6-4. Oh wait, it’s still April. Well I wanted the Yankees to walk out of Fenway with the Red Sox 0-9. Instead the Yankees find themselves just one game over .500. The Yankees are now two weeks into the season and have basically confirmed what we thought we knew about this team. They can hit and hit with power (18 homers in their first nine games is insane). If they lead after six innings they are very hard to beat (minus a Rafael Soriano meltdown). Their rotation is very shaky and you don’t know what you are going to get besides C.C. Sabathia. Last week I predicted they would have a 6-3 record going into Sunday night’s game against the Boston Red Sox. Unfortunately Mother Nature didn’t cooperate and the Yankees went 5-3 (I am still counting that as a correct prediction by me). So here is what I have learned/ observed about this team this week. The majority of voters said long reliever Bartolo Colon won’t be on the Yankees’ roster in May. His replacement could be the latest Yankees signee, another old starter, Carlos Silva, to a minor league deal. Silva had a solid year for the Cubs in 2010 (10-6, 4.22 ERA), and is known for throwing strikes. 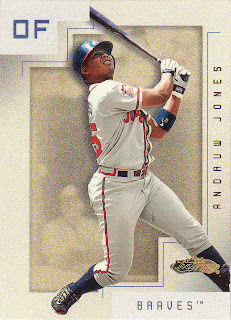 In 2006, he threw a few too many strikes, as he led the league in home runs allowed (38). Colon has picked up a loss in two appearances this season, but he has eaten 8-1/3 innings. It’s nice to have a mop-up man in the pen and I don’t mind Colon being that guy until he really starts to get bombed. Next poll: Will Derek Jeter hit below second in the lineup this season? The NY Daily News oh-so cleverly called out the Red Sox today to light the fire to the first rivalry matchup of the season. Heading into the series at Fenway Park, the Red Sox are still winless at 0-6 — tied for the second-worst start in franchise history — and the Yankees are in good position after two home series at 4-2. If the Red Sox lose again today, frustration levels will rise and the chances of a fight breaking out will soar. I hereby declare 2011 the year of the three B’s and two C’s. That motto refers to the Yankees’ top five prospects: three pitching prospects with last names beginning with ‘B’ and two catchers. It was Opening Day yesterday for Minor League Baseball, and like always River Ave. Blues has the scoop on DotF. On lenNY’s Yankees, I like to check in on prospects from time to time. This season, I expect you’ll be hearing a lot about the three B’s and two C’s. Here’s a start. In light of this weekend’s Detroit Tigers series, here’s a card of fan favorite Curtis Granderson. It will be interesting to see how Curtis fares in his sophomore season with the Mets. It will also be interesting to see when Curtis ends up being picked in this year's fantasy baseball drafts. He's clearly a third, or even a fourth outfield option, so he may wind up going undrafted in some leagues. The Twins have gone 16-45 (.262) against the Yankees since Ron Gardenhire took over as their manager in 2002. That doesn’t count their 2-12 record against the Bombers in postseason games, the component parts of four Division Series losses dating back to 2003. Add those games in, and Gardenhire’s overall record against New York drops to 18-57, a miserable .240 “winning” percentage over 75 games. All right, now that I’ve introduced myself let’s talk about this season. First I just wanted to say that anything that has happened in the first three games means very little. As fans, we tend to overreact to small sample sizes so I will do my best to keep things in perspective. In a wild first three games that featured home run after home run, the Yankees have to be happy with taking two of three from a potential contender. Although Sunday’s game wasn’t pretty from the pitching side, Yankee fans are drooling over what this offense can do this year. I have made a list of my observations so far in this young season. Hey readers, my name is Nathan Hirsch and Lenny has given me an opportunity to do some guest blogging. The idea is for me to make a weekly post every Monday morning. Hopefully I can help Lenny expand and improve on what has already been a successful blog. Every week I would like to do a summary of the week that was, along with a look ahead at the upcoming schedule. For this post, I would like to introduce myself and hopefully get to know some of the readers. Based on what we’ve seen so far, I’m not saying another word regarding Mark Teixeira and April curses. Next poll: How long will Bartolo Colon stay on the roster? Mark Teixeira's second three-run homer in as many games fueled the Yankees' second victory in a row, and the game wasn't as close as the scoreboard indicated. Russell Martin and Alex Rodriguez each added homers in the win, while a Yankees fan threw back the ball ex-Yankee Austin Jackson deposited in the bleachers. As always, I hope when I go to today's game it is just like yesterday or a true pitchers' duel. I'm in the city right now, and it looks like it will be a beautiful day. 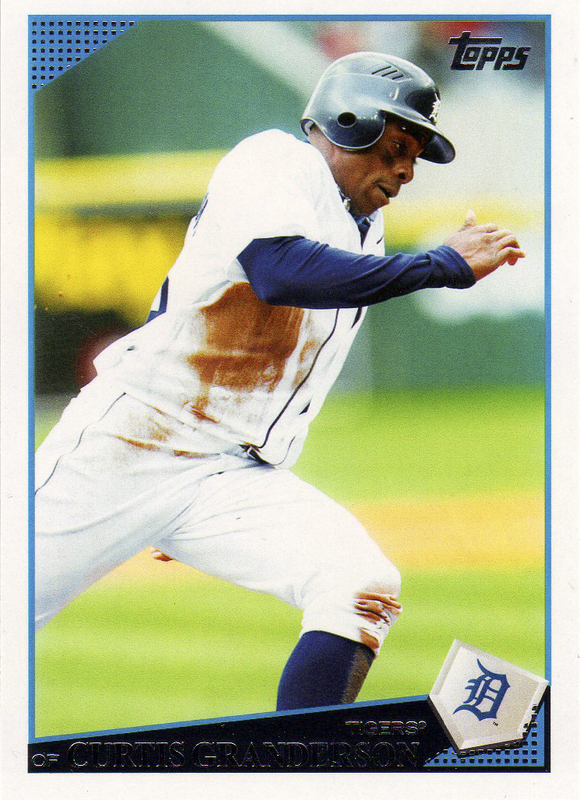 The Yankees banged out 12 hits against the Tigers, seven of which off Penny. The catcher position is underrated. Jorge Posada held down the position for the past 15 years, and even though he didn’t provide the best defense, he still had a great feel for all pitchers’ repertoires. The Yankees were well aware of their young catchers in the farm system before signing Russell Martin. They also understood how important he’d be. Stability is a necessity at catcher. Martin brings that to the table.